We are a worshipping community and all members have a role. The integral relationship between worship and academics is a hallmark of life at General Seminary and our commitment to formation for ministry. There are multiple services in the Chapel of the Good Shepherd each week. We are a worshipping community and all members of our community have a role to play in Chapel services. Ordained faculty members and occasional visitors serve as celebrants and deacons at celebrations of the Eucharist, and all faculty members officiate at Evensong and other evening worship. Students serve as acolytes and as readers and may officiate at Morning Prayer in their senior year. Staff and family members often read lessons and prayers. 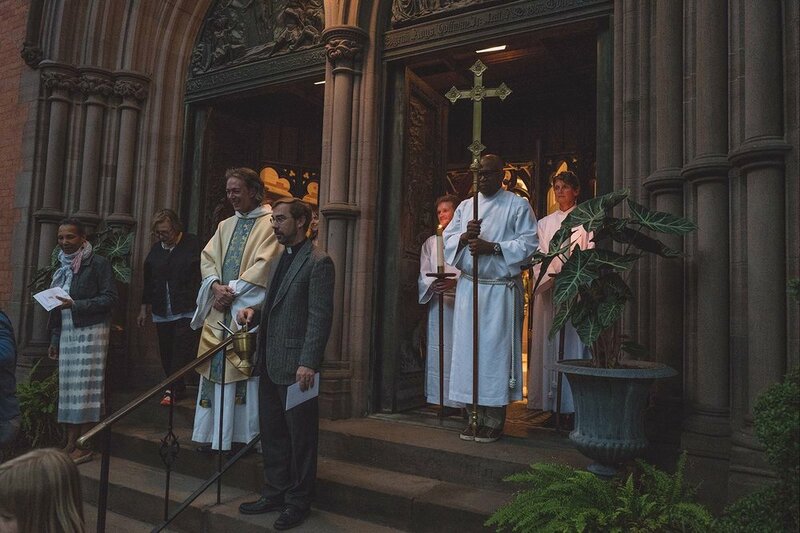 Our Tuesday evening and Monday and Thursday morning Eucharists are an opportunity for the entire seminary community to come together around the Lord's Table, including those who work outside General Seminary. Preachers in the Chapel include faculty members, senior students, and distinguished guests. Evensong is sung many evenings each week and retains a formal beauty enhanced by the choir seating arrangement that assists antiphonal recitation. Evensong is preceded by ten minutes of hymns played on the tower chimes and opens with the formal procession of the faculty. Beginning in Michaelmas/Fall 2015, with faculty mentorship, students will plan all aspects and lead several worship services each week, including a weekday Eucharist and evening prayers. Three student guilds support the Chapel's worship. The Guild of Sacristans maintains the chapel furnishings and vessels and facilitates the conduct of worship. The Guild of Precentors provides cantors who lead the sung parts of the service. 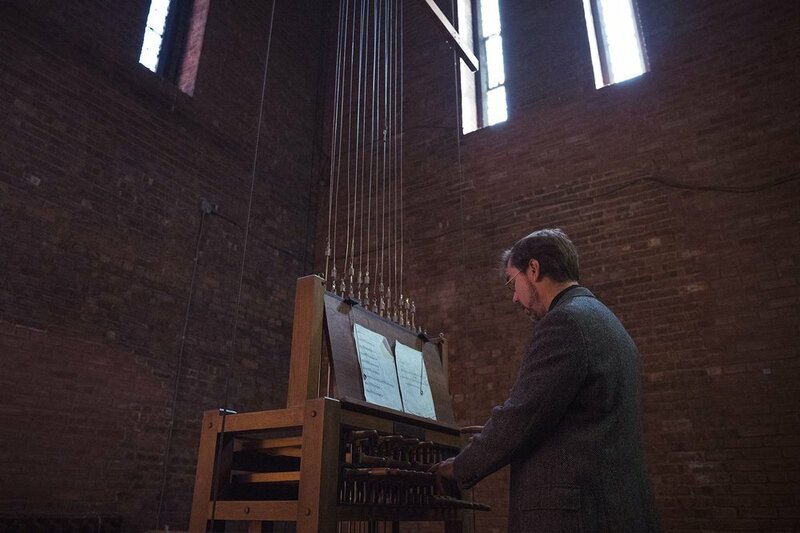 It is the ministry of the Guild of Chimers to play the Seminary's historic set of Durfee tubular bells that hang in the chapel tower 130 feet above the street. Rung manually, they are heard each morning and evening throughout the Chelsea neighborhood, as they have been for over a century, calling our community together for worship.